Chinese smartphone maker Xiaomi announced the launch of limited edition Lake Blue color variant of its popular budget smartphone, the Xiaomi Redmi Note 4 in India. The limited edition device will go on sale on September 4 at 12PM. The limited edition not only gives a new color choice to the customers but also contributes to a worthy cause. The company aims to support initiatives under the Indian government’s Swachh Bharat Abhiyan and reviving the lakes. The launch is part of the “Wake the Lake” campaign being run in Bengaluru. The company has announced that a part of the proceeds received from the sales of the Redmi Note 4 Lake Blue edition will go towards supporting Swachh Bharat Abhiyan and reviving the lakes. The Wake the Lake is an initiative to restore the lakes of Bengaluru including the Kempabudhi Kere. Xiaomi has extended its support to the Bruhat Bengaluru Mahanagara Palike (BBMP) and United Way to help them in restoring the lakes of Bengaluru. The Lake Blue edition of the Xiaomi Redmi Note will be available in the 4GB RAM and 64GB internal storage variant. 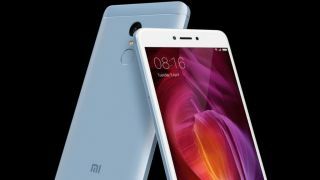 To recall, the Redmi Note 4 comes with a 5.5-inch full HD display, Snapdragon 625 processor, 13MP primary camera, 5MP secondary camera, 4,100mAh battery and runs on MIUI 8 based on Android 6.0 Marshmallow. The Xiaomi Redmi Note 4 Lake Blue edition comes in 4GB RAM, 64GB storage variant and will be available from September 4 12PM from mi.com/in, Flipkart, Mi Home Stores and Mi Preferred partners for Rs. 12,999.